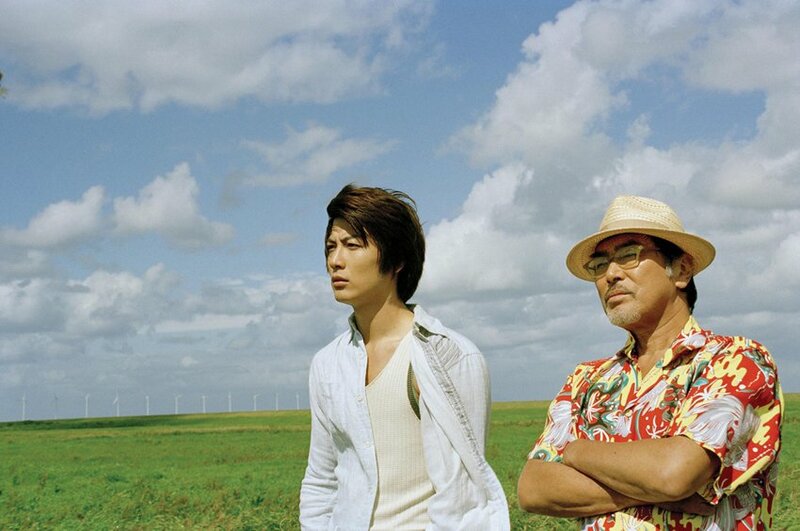 KENTA (Tetsuji Tamayama), a young pianist who has just lost his job, is drowning his woes at a bar, when he meets a man in a Hawaiian shirt named YAMAKI (Yoshio Harada). He invites Kenta to work with him, and the next thing he knows, Kenta wakes up to find himself in a room he has never been in before. It is a strange room that seems to have no connection to life. He descends a staircase to find many shelves of books. Yamaki appears once again, and tells him that this is Heaven's Book Service and Kenta is going to start working a short-term part-time job here. In addition to selling books, this bookstore, owned by Yamaki, provides a service of reading aloud to customers. Although he is unsure of his new surroundings, Kenta follows their actions and starts to work in his new part-time job. One day, Kenta meets SHOKO (Yuko Takeuchi) who had been the pianist that was the inspiration for him to first to start playing the piano. She was a gifted pianist whose promising future was destroyed when an accident caused her to have trouble in hearing. Meanwhile, back on Earth, KANAKO (also by Yuko Takeuchi), the daughter of a Japanese patisserie store, is planning to bring back the fireworks show, which used to be held until 14 years ago. Everyone who watched the fireworks would look forward to the last piece, the "Loving Fireworks." It was told that couples that watch it together would be forever united in true love. 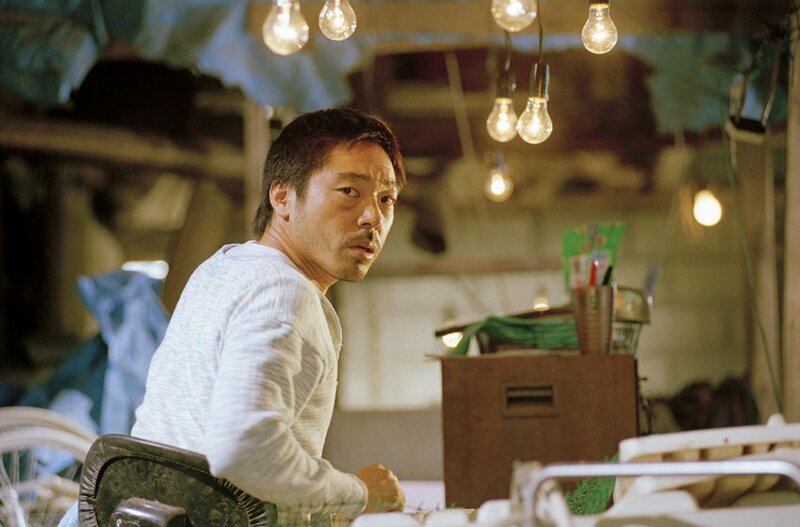 However, the fireworks shows were discontinued when TAKIMOTO (Teruyuki Kagawa), a young fireworks technician had an accident that caused his fiancee to lose her hearing, and the tragedy lead him to disappear. The pianist, as it turns out, is Shoko, Kanako's aunt. Kenta visits Shoko's home deliver the book, and discovers that she had ended up in heaven before she had the chance to finish a piano piece that she was long working on. Since her arrival in heaven, she has not been able to compose anything. Kenta resolves to finish that last music for her, for the suite that awaits its completion, and for himself. Around the same time, Kanako visits Takimoto, who has left the fireworks profession completely. She begs him to launch the Loving Fireworks again. However, Takimoto stubbornly rejects her pleas. The people of the shopping district are touched by her drive, and gradually begin to offer their help. But, unless they have the Loving Fireworks, the fireworks show will not be considered a success. Kanako approaches Takimoto one more time to ask for his help. Bit by bit, he begins to tell her about his past. The fireworks piece he dedicated to a pianist. That the pianist began composing songs for the fireworks, to complete a suite over a ten years' period. That they had promised to marry. That an explosion caused her to have hearing problems and to give up her piano. And about a fireworks technician who felt responsible and walked away from fireworks altogether. Kanako tries to tell Takimoto that he wasn't the only reason that her aunt gave up her piano, and that the person who grieved most by his abandonment of fireworks was Shoko. However, Takimoto refuses to listen. The scheduled date of the fireworks show is now only two weeks away. Kenta works hard with Shoko on the music. He realizes the reason that he has came to heaven. As the completion of the music draws close, Yamaki tells Kenta that his job in heaven is finished and that he must return to earth. Kenta gives his last reading at the Heaven's Book Service. And as his last job in heaven, he plays the suite he has just completed. As he plays, he begins to recall that he originally took up the piano because of his love of playing it. On the day of the fireworks show, Takimoto does not show up. However, just when the event was about to be finished, a firework goes off on top of a hill. Wading through the crowds heading home, Kanako runs up to the hill to find Takimono, launching the "Loving Fireworks". It is a pale ring of light silently appears in the pitch-black sky-it was truly the fireworks of love. It is then when Kanako senses a faint sound of piano from close by. 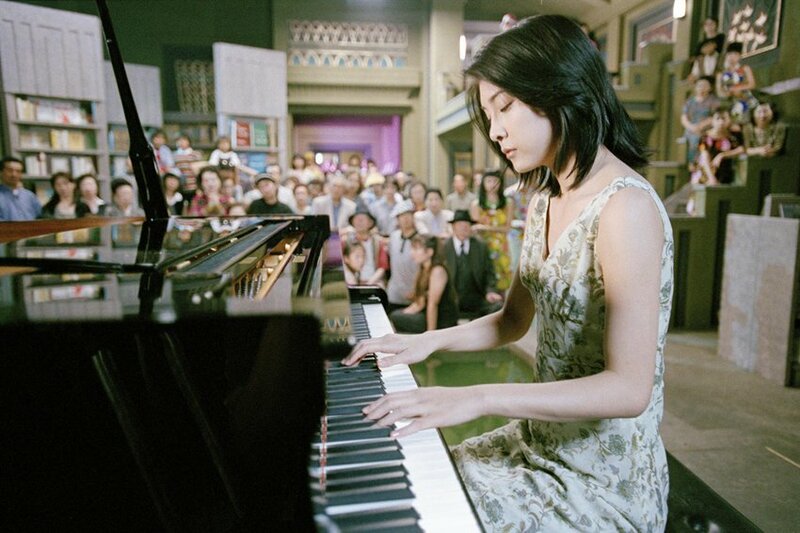 Unaware of her tears falling, Kanako looks at the grand piano to find a man there-it is Kenta. Although Kenta is surprised to see a woman who looks exactly like Shoko, they immediately sense a strong bonding. In the moonlight, the two introduce themselves to each other, which would be the beginning of their new story, together. Cecily Cronin Mar 05 2015 8:19 pm Thanks for a lovely film. I studied Japanese 30 years ago and am going to us these tracks to reactivate the language and Kanji that have been long forgotten. What a fantastic way to bring language back to life and enjoy my retirement. I still have to find out who the musicians are.